ATM & GLR are specialists when it comes to fire remediation, smoke damage, and cleanup of the soot and odor that result from fire damage. 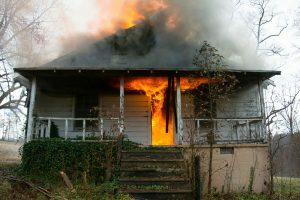 There is nothing more frightening than a fire in your home or property. A fire emergency is an emotional time for any property owner. Once you’ve secured the safety of the occupants, the damage to the property must be assessed. ATM & GLR are sensitive to the needs of the sufferers of an unexpected fire, and take the utmost care in restoring cherished belongings to keep loss at a minimum. The direct damage caused by fire is one thing, but the residual effects of the fire may be numerous: there will likely be smoke and soot damage, and even major water damage due to firefighting efforts. 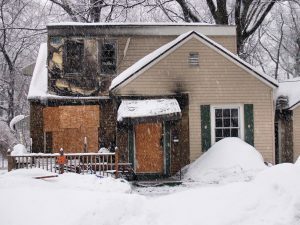 The goal of ATM & GLR is to preserve your home and return it to pre-fire condition. Our professionals will assess the damage caused by the fire, including adjoining rooms/properties that may not have been directly affected by the fire, and determine the necessary cleanup of smoke damage and soot. Our professionals will take necessary safety precautions to prevent further damage that may occur. They will use the most modern equipment to remove soot from top to bottom: from any salvaged furniture, draperies, as well as from ceilings, walls and other surfaces, with the goal of returning your belongings to pre-fire condition. They will also remove any residual odor resulting from the fire or smoke damage, and deodorize and restore many items thought to be unsalvageable. Once the fire remediation professionals at ATM have done their job of cleanup and removal of debris caused by the fire, GLR construction will take over and restore your property to pre-fire condition. 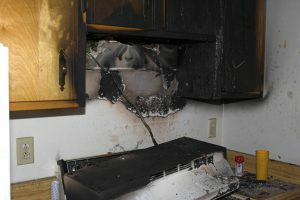 We work in a timely manner to ensure the least amount of inconvenience that a fire emergency can cause. We work with many insurance carriers and serve New Jersey and the surrounding area, from Trenton to Cape May, and beyond. DO keep movement at a minimum to help prevent soot from getting embedded into carpets. DO Keep hands clean or wear latex gloves to prevent soot from smearing into walls and flat surfaces. DO Use brush attachment to vacuum soot particles from upholstery, carpet, drapes, and horizontal surfaces. DO Place sheets and towels over upholstery and carpet in high-traffic areas. DO Clean and coat chrome surfaces with Vaseline. DO If power is lost, empty refrigerator and freezer, leaving doors ajar. Take inventory and/or pictures of items thrown away. DO Place a filter cloth or cheesecloth over heater vents and change air filters in heater. DO NOT wash walls. If not done properly, soot can permanently set into paint. DO NOT attempt to clean carpets to avoid permanent staining. DO NOT use any food that had been stored close to the fire or previously opened.